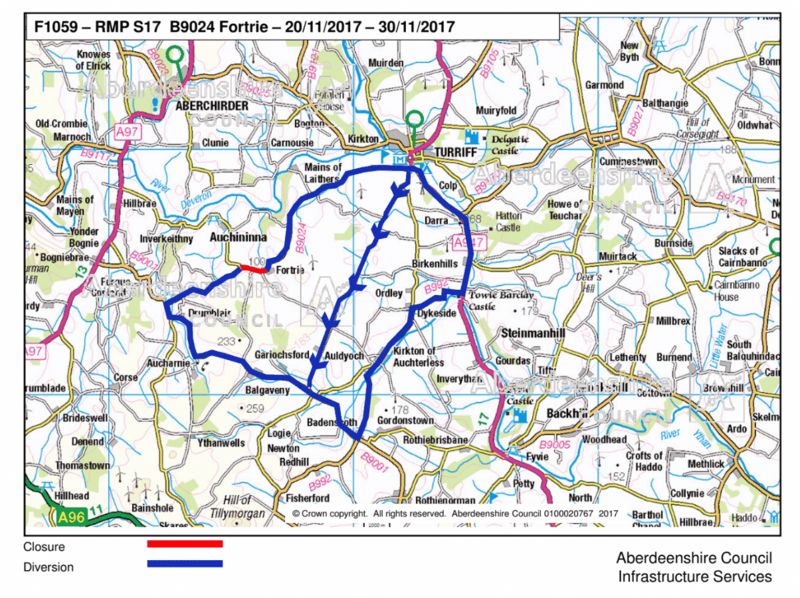 Aberdeenshire Council Highways Department has planned a week of traffic chaos in the Turriff, Banff and Foggie areas as a pre-Christmas gift to local residents and commuters. 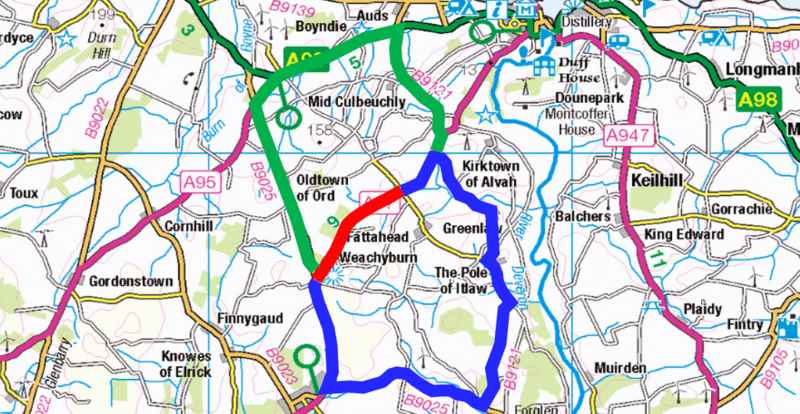 On Monday 27 November the B9025 Turriff to Foggie road closes between the B9121 junction and the A97 at Blacklaw. The diversion route from Turriff to Foggie is A947 to Banff Bridge, A98 New Road, A97 to Foggie. This is great, except that on Monday 27 November the A97 closes for one week between the Mill of Brydock through to B9025 at Blacklaw. Traffic using the diversion route for the closed B9025 will drive headlong into the A97 closure and then be diverted off the A97 on to the B9121 and back to the Turriff side of the closed road where they can pick up the diversion signs which will take them back to the A97 closure and……. well you get the idea. Basically, we have created a 25 mile long Magic Roundabout. We think the kids will love it, spending quality time in the car with their harassed mum, who just wants to drop the kids off at the childminder and get to work on time, just once this month. It also ticks a box on our tourism strategy as well, with the launch of the North East 250 earlier this month, which completely misses Turriff and Foggie, we thought we would create the Turra 25 a never-ending circular route of hell. 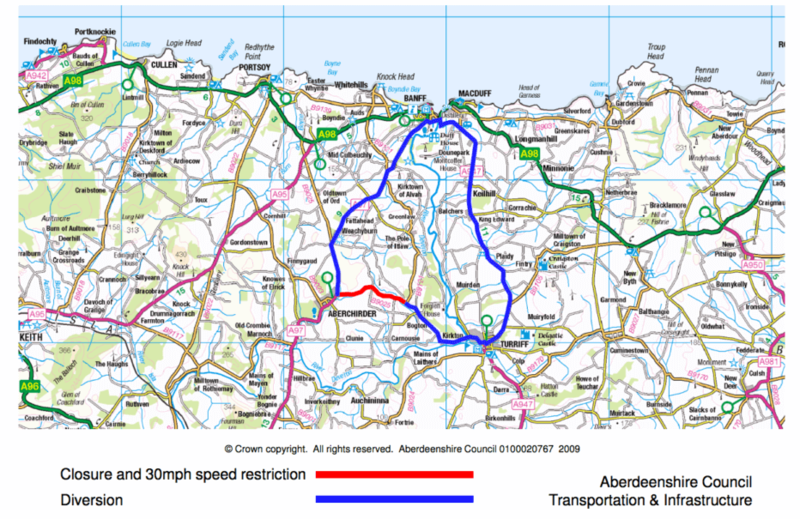 It is thought that by Wednesday 29 November there will be an almost continuous loop of traffic following the diversion trying to get to Foggie by the Aberdeenshire Council approved diversions. If you were thinking of a quick trip down the B9024 into Foggie, don’t forget that closes today for two weeks. Back in January Aberdeenshire Council did something similar which I wrote about here and I also brought up at the Turriff and District Community Council meeting as a matter of concern. Our councillors at the time were going to look at how roadworks across the shire are planned.